The SWIFT II construction (extruded poly-propylene - EPP) makes the model very light and highly resistant to physical damage. 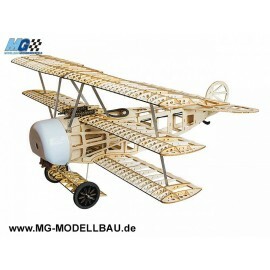 Being almost indestructable, with quick assembly makes SWIFT II a suitable choice for beginners. 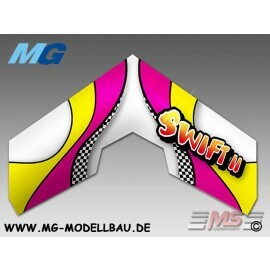 However, dont be fooled by this, because SWIFT II is a high performance and agile model capable of advanced aerobatics. 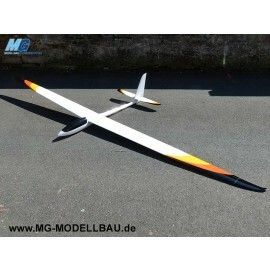 Controlled functions: motor RPM, ailerons and elevons using the V-Mix. - Radio Set - Transmitter (3 or more channels) with delta mix or V-mix in model, 2x microservo, receiver. 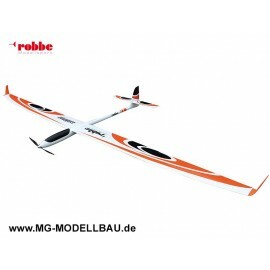 - Engine - brushed or brushless motor, propeller, speed controller, battery, charger.